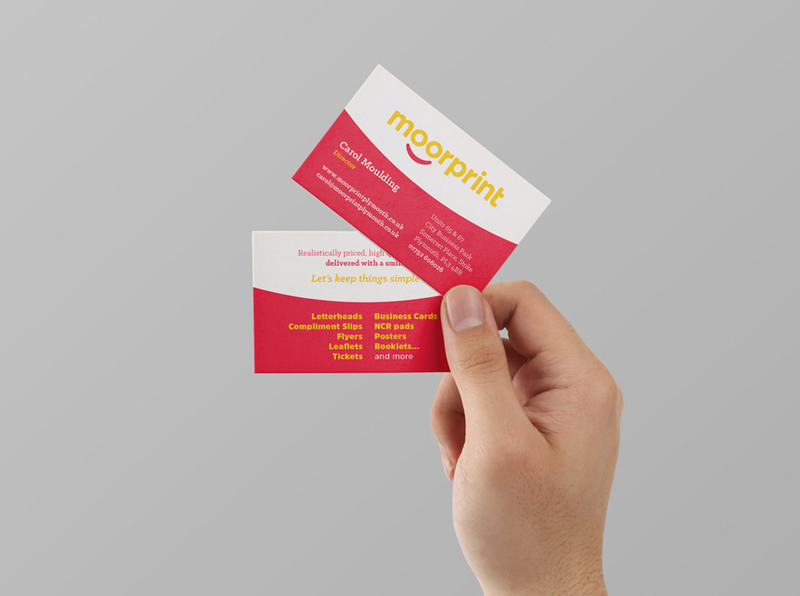 Moorprint are a small, family based printing company run by Carol & Sam. 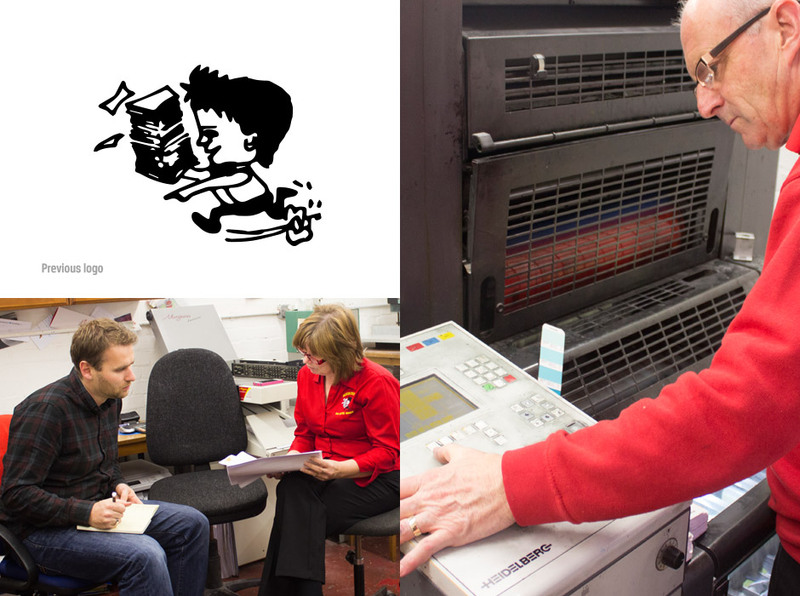 Having heard me talk about the benefits of branding for several years in networking contexts, Carol came to see me about working with them to give their business a clearer, more consistent visual image that would help them reconnect with old customers and attract new ones. 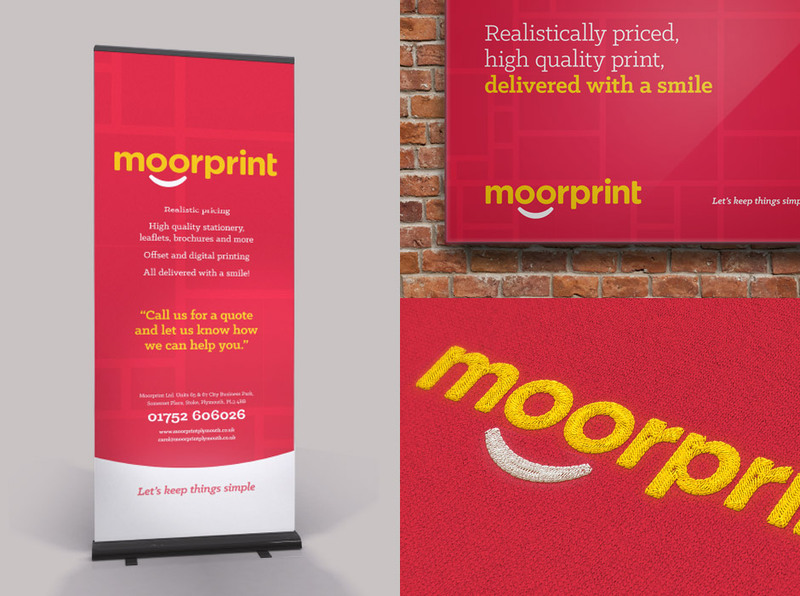 After identifying the key aspects of Moorprint’s character and what they stand for it became very clear that their identity needed to be very simple, fun and friendly. 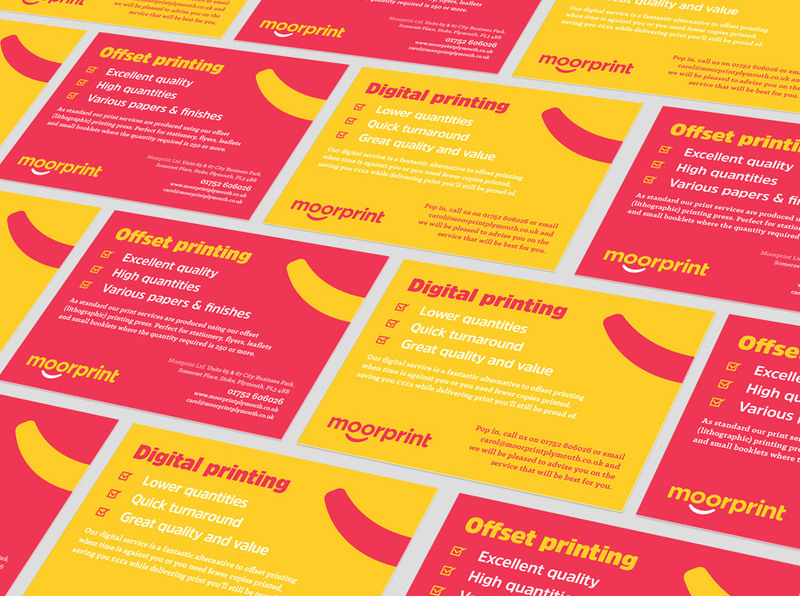 Avoiding clichés like CMYK colours was important and we retained the vibrant red and yellow palette from their historical identity. 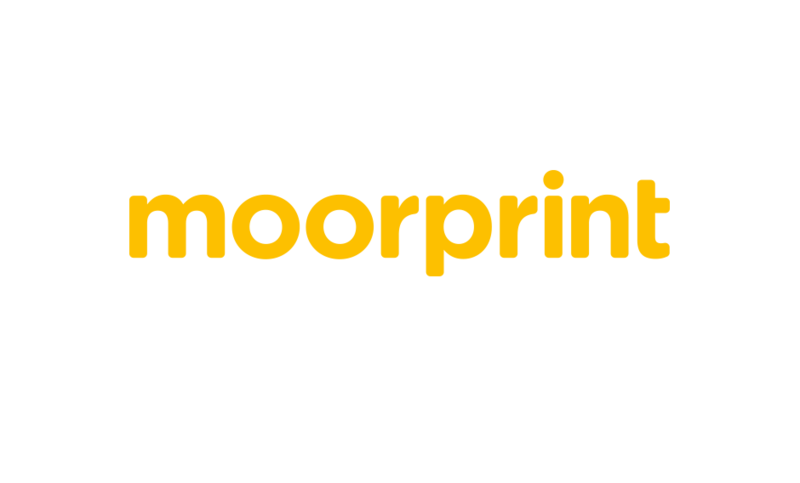 The logo features a cute grin, making eyes from the ‘oo’ of Moorprint – a clear reference to Carol’s well-known positive nature for those that know her and a friendly welcome for those who don't yet. 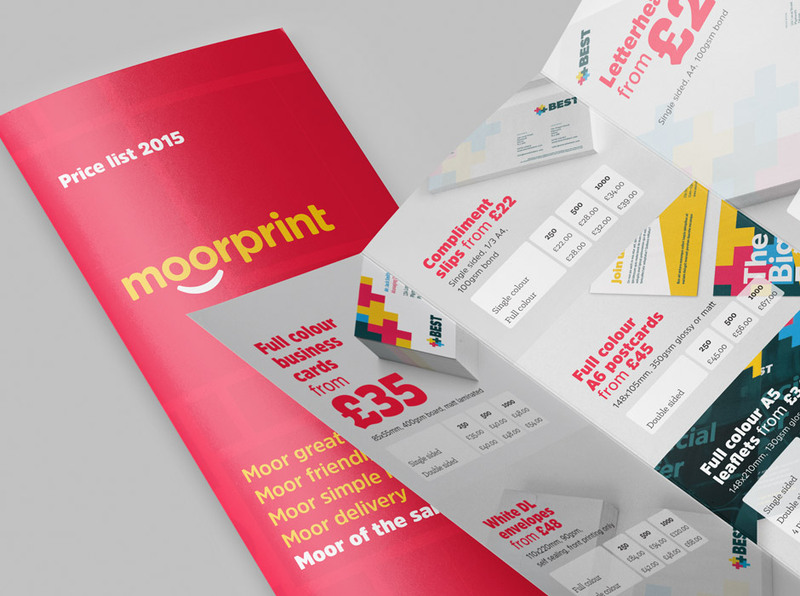 Along with stationery, signage, uniforms and banners, a key application I suggested was a folded price list which highlighted Moorprint’s own printing services. 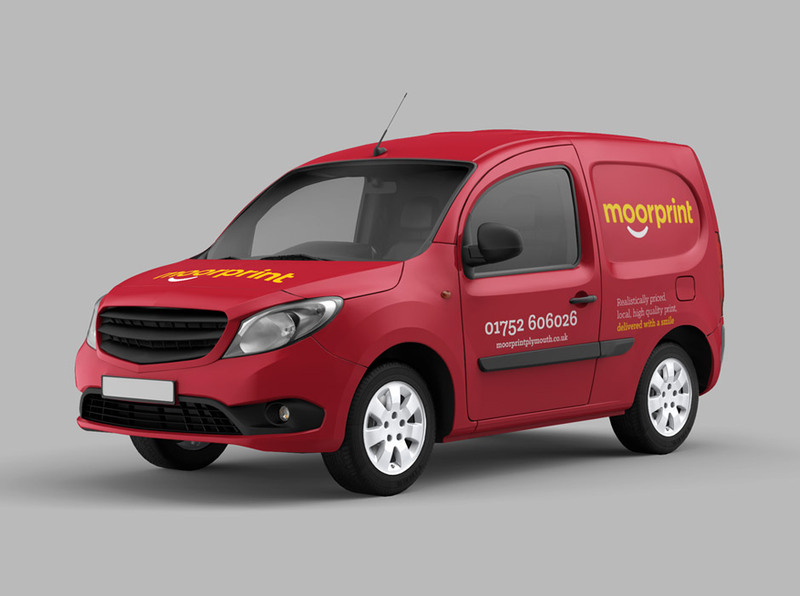 As well as providing a physical example of their expertise, it gave their customers a handy, quick reference guide and also provided an opportunity to physically distribute an example of their new identity to the public. This direct mail shot contributed straight away to print commissions from clients new and old alike, instantly adding value and starting to provide a return on their investment.